U2 come back as soon as possible ... The French fans could do more concerts . We understand the cancellation of the shows. R.I.P. to all those you souls....sing & pray for peace. 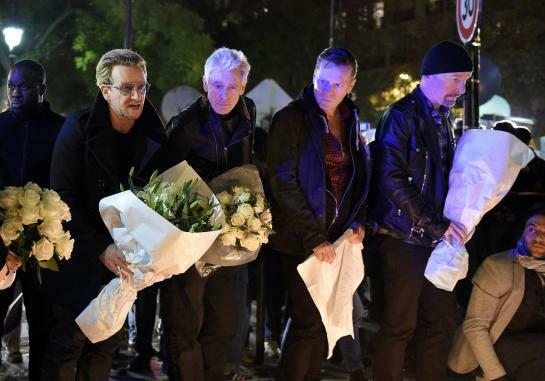 Apparently U2 participated in a wake this evening in Paris where they put flowers down for the victimes. 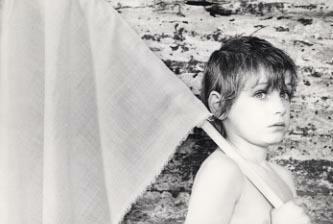 I'm just back from Paris, at least my heart is still in Paris. We've attended the IEU2 shows 10 & 11 nov 2015 in Bercy FANTASTIC Rockshows with all the great new songs lots of passion shared in Bercy these 2 nights. Our tickets for 14 & 14 nov 2015 are still in our pockets. Touching post, electricco. Similar thoughts here, too. We arrived in Paris on Friday, the mind full of joy and excitement, to see once again the unforgettable gig the next day, from the band which I`ve loved for over 30 years and which has been such a big part of my life and even into part of my personality. So, quick hotel check-in, and then directly to the bar nearby for a couple of beers. Well, it took only a second or two when the TV news began to tell what has happened. The first thoughts were that this should not be true what you just see. But were they, unfortunately. The atmosphere changed immediately. Tomorrow's gig was no longer the most important thing. Instead, grief stepped in ... We no longer wanted to be in Paris anymore. We are waiting for the great evenings, nights of tributes, unforgettable evenings. If U2 wanted to come back to Paris please wait .... until Next Year. 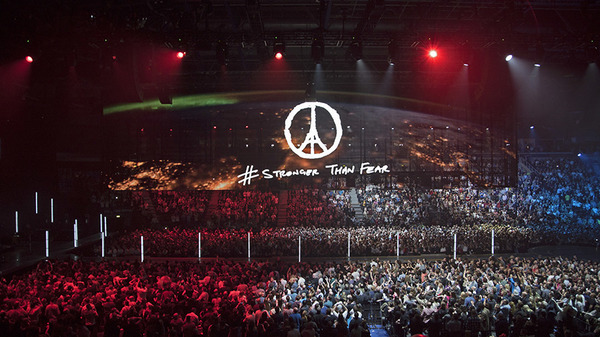 Tonight I need to talk, as we French People are experiencing what no human being is supposed to face. I went to all your Tours since 1987 and, after a long 5 years, it was feeling a great great pleasure that warmed my heart before travelling on Friday to Paris with my 2 Young kids 5 & 8 year old. I was so excited before to come and after having assisted to the 2 fantastic shows you gave in Italy. You know how France loves you and how the atmosphere during the 10th & 11th were from a country that always welcomed U2 and supported your Band,. It was also a great opportunity for our U2 community to meet each others and share our passion for your music and what you are. 1:00 my phone rang, informed by an italian U2 fan about the Tragedy. And then I saw what was happening few hundreds meters from where I was leaving. It was so brutal, so much hurting me. An incredible feeling and compassion for all those who passed away. 8:00 am, my 2 sons came to me smiling, so cute, so Virgin. I looked at them and just thought how this world can be sometimes so extreme. Why these crazy guys cannot understand that Love is all you need. Love that you are singing for years and certainly forever. I cannot stop to think that 1 day later, few meters from where it happened. We the U2 COMMUNITY could have been the target of these guys. And it make even more real the things. And have difficulties to imagine how we can plan once more these shows and do like if nothing would have happened. You are singing Sunday Bloody Sunday for years and now I do understand why. Thanks to all the U2 community for your great support. And Love for all the ones who lost someone. Thanks for these posts guys! Good to know you're all ok. I got back a day before the attacks, but I can't imagine how it must have been to be in Paris during the last couple of days. waiting for a year to have a Holiday, especially one that includes 4 U2 concerts!!! then the attacks, terrorists destroying lives, what for?! what is going on in the world?! I saw on twitter ... The tour ends ... In Paris. i think U2 made the right choice to play in december. The security will be OK , more policemen and soldiers, people will not be allowed to gather near Bercy, etc.And it's a great support for us -french people- to have them with us, together we'll be STRONGER THAN FEAR !!! We must live as we used to live before,surely a little bit more paranoiac, but those bastards won't change our love of life, fun and music !!!! Those Paris shows will be special, no one is going to EVER stop Love, Rock And Roll, music, joy and happiness. yeah, it'll be very special, the emotional level will be higher than ever !